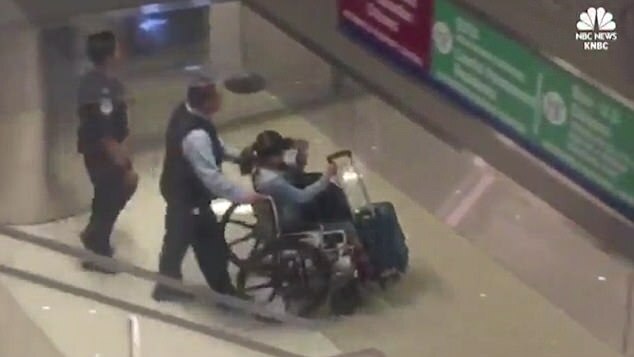 The girlfriend of the Vegas gunman, Marilou Danley, 62, who returned to the US yesterday under the request of the FBI, arrived LAX in a wheel chair. During interrogation, she told authorities that she hadd no idea what her boyfriend, demented gunman, Stephen Paddock, 64, was up to before the massacre on Sunday. She claims that she thought he sent her to the Philippines via a cheap ticket two weeks ago and sent her $100,000 in order to break up with her. He suggested she visit her family, something she was happy to do, but that the gesture was 'out of the blue', she claimed. She added that when he wired the $100,000 to her after a week during her stay there, she began to worry that he was trying to break up with her, she said. She had no idea that Paddock was planning Sunday's rampage, which claimed 59 lives, including his own, and injured 527 people, she said. 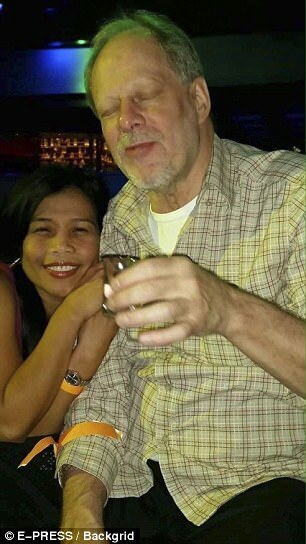 'I knew Stephen Paddock as a kind, caring, quiet man. 'I loved him and hoped for a quiet future together with him. He never said anything to me, or took any action that I was aware of, that I understood in any way to be a warning that something horrible like this was going to happen. 'A little more than two weeks ago, Stephen said he found a cheap ticket for me to the Philippines and that he wanted me to take a trip to see my family. 'Like all Filipinos abroad, I was excited to go home and see family and friends. 'While there, he wired me money which he said was for me to buy a house for me and my family. 'I was grateful, but honestly I was worried that first, the unexpected trip home and then the money, was a way of breaking up with me. And I voluntarily flew back to America because I knew that the FBI and Las Vegas police department wanted to talk to me - and I wanted to talk to them.